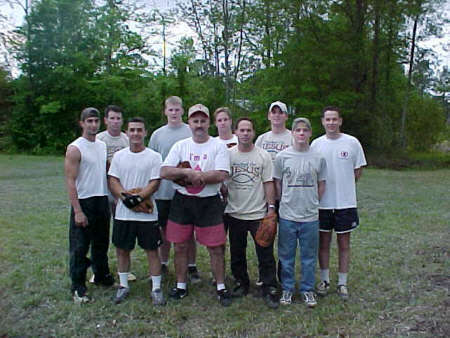 Earlier this century Trinity Baptist Church had an amazing Softball program. 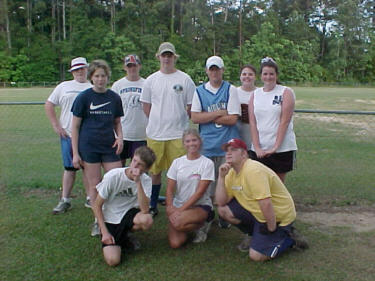 These are the three Trinity teams that represented our church at one time. Here’s young Tim Reitz, one (and sometimes the only) of our church members who umpired then and still umpires around the area! 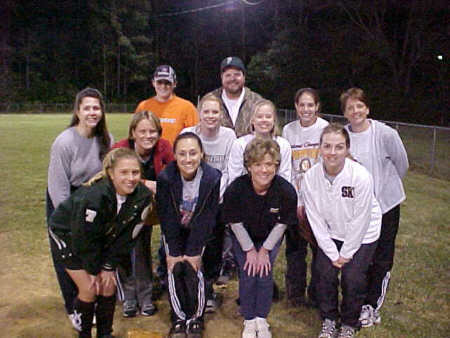 I can’t tell you how the awesome the Softball Ministry was in our life. Such a wonderful ministry. Every church member player was required to attend their church a certain amount of weeks during each month. Each team was allowed to have couple of players who were not church members. These non church members got to see Christians having a great time in a clean and wholesome environment. And we did have A L O T of fun! 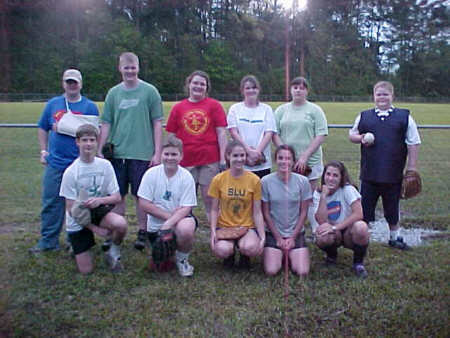 Church members from the softball teams got to know other church’s members and life long friendships were formed. The concession stand was a flurry of activity selling burgers, hot dogs, candy and drinks. All Trinity players gave some of their time throughout the season to work in the concession stand. Men, women and youth and family members from other area churches all piled in to see the games played on Monday, Tuesday, Thursday and Friday evening. Three games a night! We also had Friday and Saturday tournaments that were also so much fun! I can no longer offer to participate in operating it but I would love to give guidance on how we did it if this ministry was ever resurrected again! We had a web page on the church’s web site for softball. 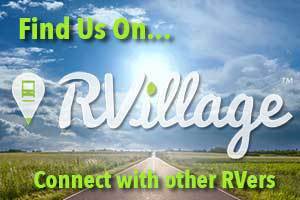 I have numerous graphics that I’d love to share with someone when the time comes. Please, hint, hint! I have scaboodles of photos of Trinity children who are now adults, some with their own children. I’m going to work on those photos soon. If you know the names of some of the folks in the photos that I didn’t include please let me know!